Brambly Hedge has been decorated throughout in a coastal theme taking inspiration from the area. Brambly Hedge has a classic off white shaker style kitchen which is fully equipped with everything you need. The kitchen has a gas oven, hob & grill, microwave, fridge freezer, toaster, pots, pans, cutlery, crockery, tea towels, tea, coffee & kitchen sundries are all supplied. Brambly Hedge sleeps up to 4 guests in 2 bedrooms, one double & one twin. Bedrooms are made ready for you with white cotton bed linen, cushions, throws & hairdryer. The shower room has piping hot water, WC & basin as well as fluffy towels, toiletries & heated towel rail. The kitchen opens up into the light, bright living & dining room with Laura Ashley nautical stripe curtains & cushions on ample seating. This area has a TV/DVD player a coal effect electric fire, books, board games, local information. Outside you have a private, fully fenced garden with furniture, decking & private parking for up to 2 vehicles. Lovely long weekend, good weather and super accommodation. Well furnished, very clean and so welcoming and friendly, all the little touches thought of. The whole campsite is super clean and tidy, and the village as well with all the shops and places to visit close at hand,. Wonderful stay. Thank you Zoe and family. Hartland Caravan Park is a great base for sightseeing around the area. Our caravan was absolutely spotless and had everything needed for a comfortable few nights’ stay. A really lovely mobile home.really clean, lots of little extra touches that made us feel really welcome.thankyou so much Zoe for a great couple of days of peace and rest. Stayed for a couple of nights in late October. First impressions were the caravan was very clean and beautifully kept, inside and out. The heating was good and we did not feel cold, although I would recommend warm clothes and socks too if staying autumn/winter. Well equipped kitchen, good shower. Warm welcome from the owner and very informative about the local area. Hartland village had good range of stores/places to eat. The local scenery is stunning. Highly recommend! We had a great few days here. 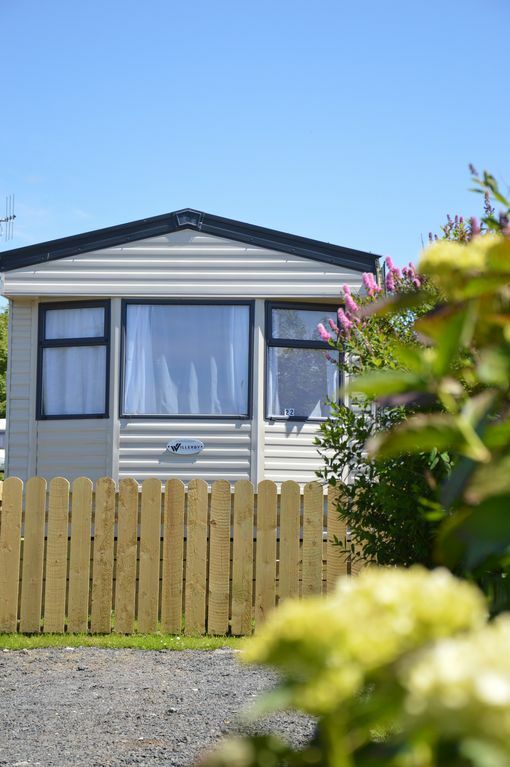 The caravan is ideally suited for the village. We were able to walk from the caravan to join the South West Coast Path . There are quite a few different circular walks from the village. The accommodation was excellent; shower was powerful and bed very comfortable. Having heating was great as it was cold - morning and evenings. There is a good fish and chip shop within walking distance as well as some good pubs. We enjoyed a lovely meal at The Hart Inn ( 5 minutes walk from the caravan) and they welcomed dogs. A great find- we look forward to returning! Lovely clean caravan. Spotless on arrival and we slept very well in main double bed. Caravan is excellent and Zoe welcomes us and said she was always available if any problems. There were none so didn’t have to speak to her again. Little touches were brilliant, welcome board and card and visit from Zoe. Caravan can get very cold at night as expected. Quilt great but cold cold cold when overnight temperature was down to 6 degrees. Advised not to keep heaters on overnight. Not a criticism, merely an observation.